Publically broadcasting video game gameplay for others to watch has become incredibly popular and it's now super easy to do from any Windows 10 PC or tablet and doesn't require any additional software or devices. Mixer is a video game streaming service that's owned by Microsoft and is a direct competitor to Amazon's Twitch and Google's YouTube. Users on Mixer can broadcast live streams of their gameplay to the platform and watch others do the same. Viewers can interact with Mixer broadcasters via the onscreen chat and follow those that they want to see more of in the future. Mixer streams are viewable via the official Mixer website on any web browser, on the official Mixer apps on iOS or Android devices, or on an Xbox One consoles. Users can log into Mixer by using the same email or username associated with their Xbox One console, Windows 10 device, or Outlook email address. It's recommended to use the same account for Mixer as is used on your Windows 10 PC or Xbox One console. To make sure that you're using the correct account, go to the official Mixer website and login via the Sign In button in the top-right corner. You will be presented with a Sign In With Microsoft button. Your Outlook, Hotmail, Xbox, and Microsoft accounts are all one and the same so you should click on this button and use your username or email and password that you typically use for your preferred account. If you're using the Microsoft Edge web browser, your username and password may be pre-filled in for you. Once logged in, you can customize your channel via the drop-down menu in the top-right corner of the screen. Your channel is where you will send people to watch your broadcasts. Once you've made sure you're using the same Microsoft account for Mixer and Windows 10, you're all set to begin your broadcast. Here's how to begin streaming. Open a video game on your Windows 10 PC or tablet. Press the Windows logo key and G on your keyboard. This will launch the Game Bar which is used for beginning, ending, and adjusting your live stream. In the Game Bar, press the gear icon. This will allow you to customize the settings for your future streams. The most important settings to change here are under the Broadcast tab and involve your computer's microphone and webcam. Make sure both of these boxes are checked if you want to talk during your broadcast and have footage of yourself alongside your gameplay. If you're feeling shy, you can choose to only use your microphone however more people are likely to watch your stream if your webcam is turned on. It's simply more engaging. When all your changes have been made, close the settings window by clicking on the x icon in the top-right corner. You should now be ready to begin your broadcast. To start streaming to Mixer, look at the Game Bar once again and press on the icon that resembles a satellite dish with radio waves coming out of it. This will open the Broadcast setup window. At the top of the Broadcast setup window will be your Mixer channel username and your Xbox Live gamertag (the username used on Xbox One consoles). Make sure these are correct. From this window, you can also change your default settings for mic and camera and choose which part of the screen you wish your webcam footage to appear on via the Camera Position drop-down box. When you're ready to begin your stream, click on the Start broadcast button. Your stream should start almost immediately. Friends, family, social media followers and complete strangers can view your Mixer broadcasts in a variety of different ways. In a web browser. Anyone can watch your broadcasts by visiting your channel on the official Mixer website. The easiest way to find your channel is to login on the Mixer website and click on the My Channel link from the top-right drop-down menu. You can then share the website address for your channel with others via a text message, messaging app, or social network. On an Xbox One console. The Mixer streaming service is prominently featured on the Xbox One dashboard. If you're using the same account for Mixer that's associated with your Xbox gamertag, all of your Xbox friend should get a notification of your broadcast when you go live. They can click on this notification to watch you or alternatively open the Xbox One Mixer app and watch you there. On smartphones and tablets. There are official Mixer apps for iOS and Android devices for watching broadcasts. Alternatively, streams can also be watched on mobile devices by logging into the Mixer website via a web browser. Why Do People Broadcast Video Games? 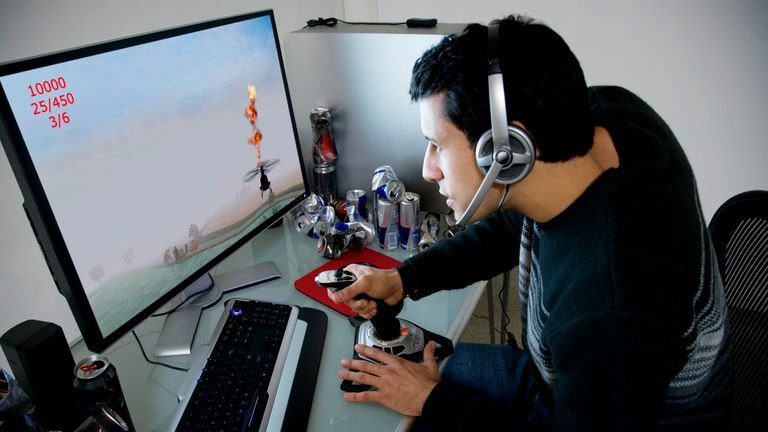 Video Game streaming is popular with gamers of all ages for a variety of reasons. The social experience. Broadcasting a video game immediately makes what would usually be an isolating experience a more social one. This is mainly done with the text chat that's connected to each channel on Mixer, Twitch, and YouTube which allows viewers to react to the gameplay in real-time and also converse with the streamer themselves. To make money. Streaming on Twitch, YouTube, and Mixer has become a legitimate source of income for many streamers who can earn as much as a few hundred thousand dollars a month. To become famous. For many people, popular video game streamers are as famous and influential as traditional TV and film celebrities and many up-and-coming broadcasters want to be just like them to get invited to elite industry events and even gain contracts with major brands. An alternative to watching TV. A lot of people simply choose to watch video game streamers in place of traditional television. Sometimes they'll sit down and actively watch broadcasts, other times they might just have Mixer or Twitch playing in the background while they go about the day.